SAN DIEGO and DONAUESCHINGEN, GERMANY, Oct. 9, 2018 /PRNewswire/ -- NuVasive, Inc. (NASDAQ: NUVA), the leader in spine technology innovation, focused on transforming spine surgery with minimally disruptive, procedurally integrated solutions, today announced it has entered into a strategic partnership with Biedermann Technologies GmbH & Co. KG, a company that holds a broad and extensive patent and technology portfolio in the fields of spinal and extremity surgery, based in Donaueschingen, Germany. Specifically, certain Biedermann Technologies' proprietary screw innovations will be integrated into the NuVasive RELINE® portfolio, offering surgeons a superior solution to treat complex spinal pathologies in both the adult and pediatric populations for open, as well as minimally invasive surgery, with customized screw placement and ability to facilitate various corrective maneuvers based on the clinical needs of the patient. NuVasive's RELINE system is the only technology on the market to offer a single tulip that accepts three posterior fixation rods of different diameters and is integrated into its proprietary Integrated Global Alignment (iGA®) platform designed to achieve global alignment across spinal procedures. This combination of Biedermann Technologies' propriety screw technology and NuVasive's RELINE system is expected to be commercially available to surgeons in the first half of 2019. 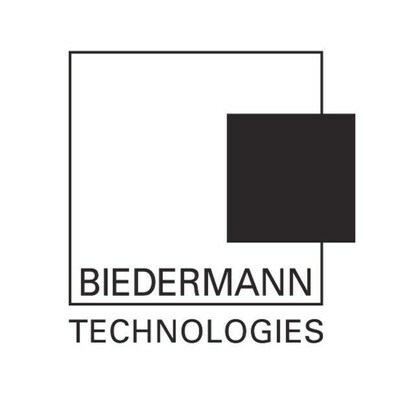 "Partnering with Biedermann Technologies —a highly innovative medical device design powerhouse—coupled with NuVasive's best-in-class engineering teams and innovation prowess—will accelerate the development and time-to-market to put the most advanced posterior fixation solutions in the hands of our surgeon partners," said Matt Link, executive vice president, Strategy, Technology and Corporate Development of NuVasive. "This partnership will help create better, more reproducible clinical outcomes in some of the hardest to treat spine pathologies, and further demonstrates our commitment to R&D investments to create the future of leading complex spinal innovation." "Significant challenges demand smart collaborations," said Lutz Biedermann, founder and president of Biedermann Technologies. "And reconstructive spine surgery of complex deformities and instabilities of all age groups is still such a significant clinical challenge. With this in mind, I welcome the opportunity to work with NuVasive's very talented and skilled organization to offer clinically meaningful solutions to the global spine community." NuVasive will showcase the upcoming RELINE system featuring Biedermann Technologies' innovations at the Scoliosis Research Society Annual Meeting held October 10-13, 2018 in Bologna, Italy.